PALO ALTO...April 15, 2019 -- The Radicati Group’s latest study, “Microsoft Office 365, Exchange Server and Outlook Market Analysis, 2019 - 2023” provides an in-depth analysis of the penetration of Microsoft Office 365, Hosted Exchange, on-premises Exchange Server, and Outlook email clients in the Messaging and Collaboration market. The report provides detailed installed base, four-year growth forecasts, breakouts by region, and business size for Microsoft Office 365, Hosted Exchange, Microsoft Exchange Server, Microsoft Outlook, and Microsoft Outlook on the web. According to the report, while On-Premises Microsoft Exchange Server deployments still represent the majority of mailboxes, deployment of cloud Office 365 mailboxes is rapidly catching up as organizations of all sizes become more comfortable with cloud email and collaboration solutions. All statements contained herein that are not statements of historical fact, including statements that use the words "will," "is expected to," "look forward to," "to establish" or other similar words or expressions, that describe businesses or corporation's or its management's future plans, objectives or goals are "forward-looking statements" and are made pursuant to the Safe-Harbor provisions of the Private Securities Litigation Reform Act of 1995, as amended. Such forward-looking statements involve known and unknown risks, uncertainties and other factors that could cause the actual results to be materially different from the historical results and/or from any future results or outcomes expressed or implied by such forward-looking statements. Such factors are further addressed in annual and quarterly reports, and in other documents or reports, filed with the Securities and Exchange Commission (www.sec.gov) including, without limitation, information under the captions "Management's Discussion and Analysis of Financial Condition and Results of Operations" and "Risk Factors". 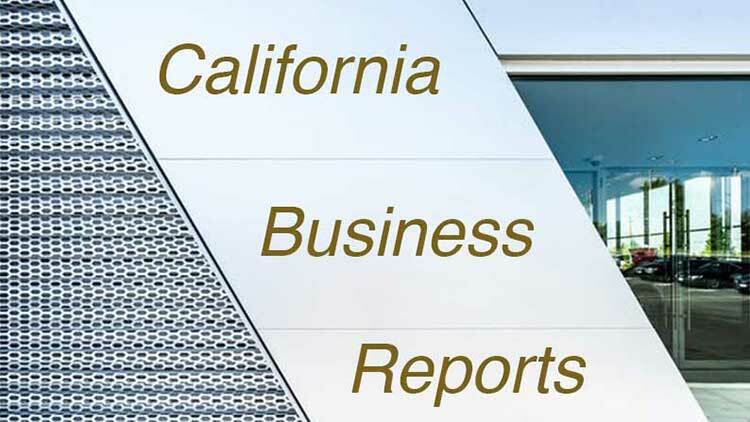 The Huntington Beach News assumes no obligation to update any forward-looking statements in order to reflect events or circumstances that may arise after the date of publication, except as required by law. All materials and services in this site and third-party sites to which it links are provided “as is” without warranty of any kind. Changes are periodically made to the information herein, and every effort will be made to correct inaccurate material when reported. The Huntington Beach News and its media suppliers make no representations and disclaim all warranties, express or implied, including but not limited to warranties of merchantability and fitness for a particular purpose regarding the suitability of the information; the accuracy or completeness of the content, services, products, test, graphics, links or other items within this site, or the results obtained from accessing and using this site and/or the content contained herein. Interruptions and error may occur within the site that could make portions of the site unavailable temporarily. While every effort will be made to prevent errors, viruses and other harmful components, the user shall not hold Huntington Beach News liable for losses that could occur. Use of this site is at your own risk. This site may contain advice, opinions and statements of various information providers and content providers. The Huntington Beach News does not represent or endorse the accuracy or reliability of any advice, opinion, statement or other information provided by any information provider or content provider, or any user of this site or other person or entity. Neither Huntington Beach News affiliates, nor any of their respective agents, employees, information providers or content providers shall be liable to any User or anyone else for any inaccuracy, error, omission, interruption, timeliness, completeness, deletion, defect, failure of performance, computer virus, communication line failure, alteration of, or use of any content herein, regardless of cause, or for any damages resulting therefrom. Huntington Beach News, its affiliates, information providers and content providers shall not have any liability for investment decisions based upon, or the results obtained from, information provided by this website.